Drums & Dragons provides a unique and unforgettable fundraising experience to Asheville, North Carolina. Your dragon boat team will compete against other local corporate and community teams, all to benefit the many health services supported by WNC Bridge Foundation. 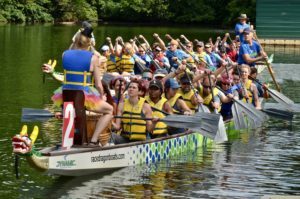 Our Inaugural dragon boat race took place June 24th, 2017, on Lake Julian in Arden, North Carolina. Decorative dragon boats, equipment, and race management were provided by Dynamic Dragon Boat Racing. Thirteen teams competed for judges awards, division awards, and overall fastest team awards. Traditional Hong Kong style dragon boats are 46-feet long, with 10 seats and 20 people. A drum seat in front of the first two paddlers holds a drummer- the smallest, loudest, most rhythmic person you can recruit. All ages, skill levels and physiques perfect their stroke and timing for the ultimate teamwork experience! 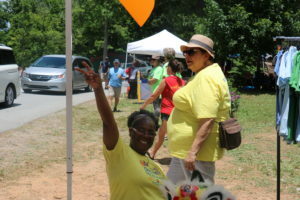 For more information about registering a team or becoming a Drums & Dragons 2019 Event Sponsor, please contact Angelica Archer, Event Specialist for WNC Bridge Foundation at 828-777-2827. Simply put, dragon boat racing is a boat of 20 paddlers, a drummer and a steerer paddling to cross the finish line faster than their competition. It's a team sport that encompasses the elements of power, speed, synchronization and endurance. People who never thought of themselves as athletes can thrive in a dragon boat, and people who are athletes discover a challenging alternative to general sports. With origins dating back 2,300 years to Southern China, dragon boat racing is the most fun, unique cultural event featuring adrenaline-pumping action. Teams race in authentic 46-foot-long, Hong Kong-style dragon boats. 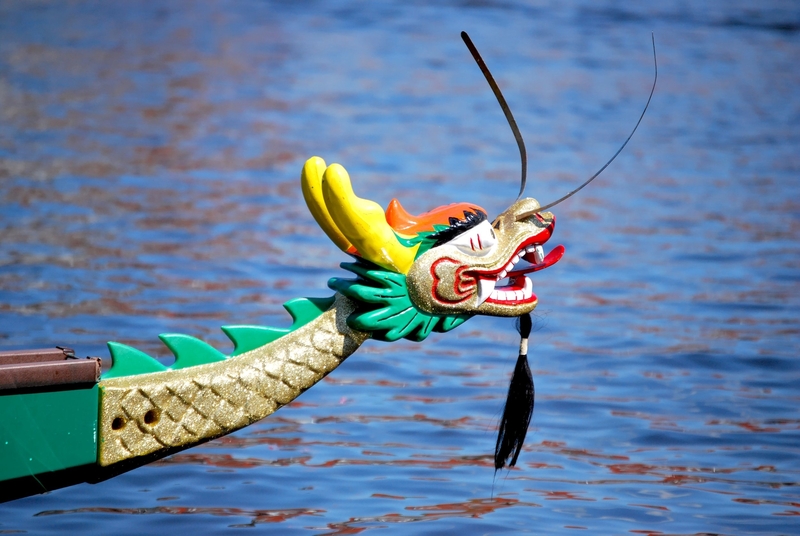 Today, dragon boat racing is the fastest growing international team water sport. People are drawn to the excitement, friendly competition, and community spirit surrounding the sport. 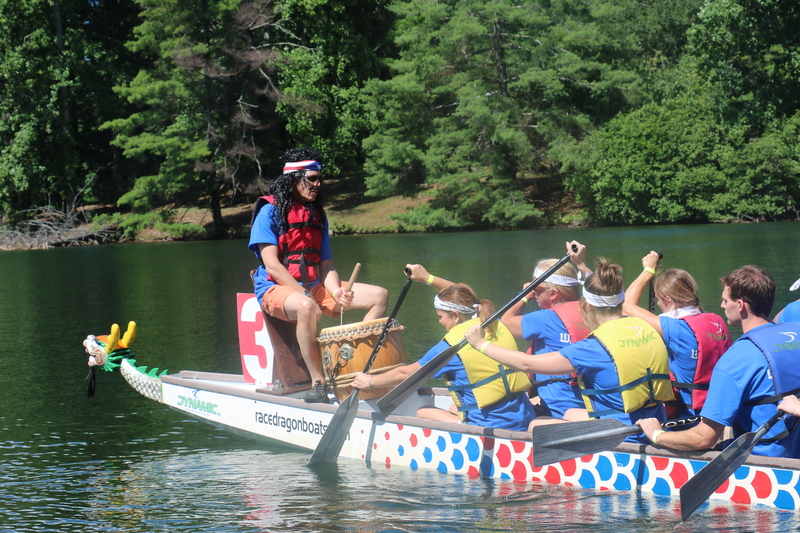 Sign up your team to race at this year's event...dragon boat racing builds teamwork! Have your business donate an In-Kind gift from our sponsor page. Vend at this year's event. Health & Wellness-oriented businesses and organizations welcome! Come to the event and help cheer on our teams! Have another idea for supporting this event?